Architectural gems across the city will open their doors to the public this weekend, as the popular design and archiecture festival returns to Buenos Aires. The sixth edition of the Open House Festival takes place this Saturday and Sunday, October 27 and 28. With 115 spaces across the city opening their doors to the public, it is estimated that the number of visitors will exceed the 30,000 who were drawn in by last year’s edition. Started in London by Victoria Thornton back in 1992, the Open House initiative has been a huge hit across the globe, with events in major cities like New York City, Lisbon, Oslo, Milan, and Melbourne. With the idea in mind that "well designed cities can improve the lives of its inhabitants," the festival hopes to inspire people to discover the often hidden architectural wonders in each and every city. Well-known architectural favourites such as the Teatro San Martín, the Palacio Barolo, the IBM tower, San Telmo’s Casa Mínima and the Zanjón Tunnels will all be opening their doors to the public, offering guests the chance to visit for free over the weekend. 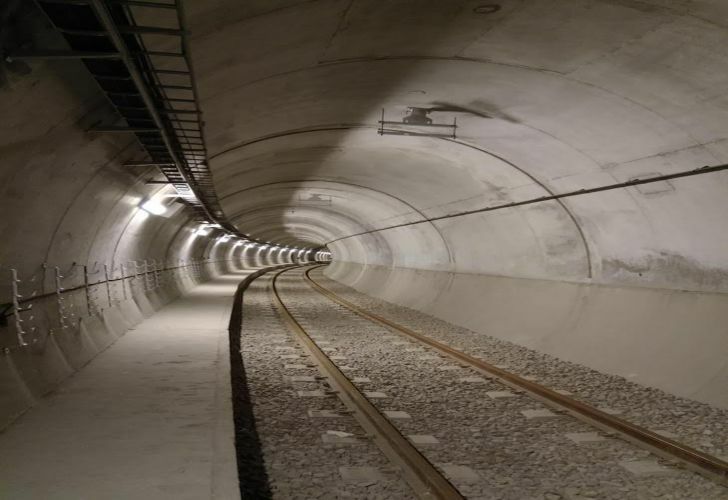 Among a whole host of Buenos Aires’ most famous buildings and interiors, construction sites currently under development will also feature in the programme, such as the new Subte Line E tunnels. Paritipants will also be able to tour the Rodrigo Bueno villa in Puerto Madero and Villa 31 in Retiro, two sites that are currently being redeveloped thanks to a multi-year government urbanisation plans. This weekend's festival will also offer a rare opportunity to visit privately owned apartments that are exceptional examples of either cutting-edge modern design or unspoilt examples of 20th-century design. Tours will often be led by the owners of the properties, who will be able to provide a unique insight into the finer details of the buildings. Other activities for members of the public to participate in are the 'Open Bici' – organised guided bike tours that will take visitors on a circuit around the city, while guides offer insights on history and heritage – and the 'Open Muro,' which offers a tour of Buenos Aires’ most famous street-art creations, before giving visitors the chance to create their own mural in Plaza Vaticano. For a more photographic take on things, 'Open Foto' compromises of two related events. The first, La Cámara Oscura, will be an interactive installation made up of a dark room representing the inside of a camera, teaching the principals of taking pictures. Wikimedia Argentina will also be organising a photography competition for any aspiring photographers to take part in. Organised by CoHabitarUrbano, a non-profitable civil organisation, around 650 volunteers – many of whom are architects or students – will be helping out this weekend, ensuring the smooth running of the event as well as providing informative guided tours. More information about the event can be found on Open House Buenos Aires website, but those who are interested in finding some undiscovered gems in the City need put their names down on the Eventbrite page for the locations they wish to visit. However, unlike last year, some of this edition’s participating spaces won’t require any prior inscription. Open House Buenos Aires takes place on Saturday, October 27 and Sunday, October 28, from 10am to 2pm and 3pm to 7pm. For a full schedule of events, see http://www.openhousebsas.org/.